I\'ve never ridden the CX\'s, but always liked\'m. \r\nLooks like Guzzi\'s and Thruxton\'s better look out?? Yes, they are Comstar wheels. The front wheel is .030" out on the runout, so got another front wheel from a guy in Michigan that is within Honda Spec. \r\nI have never ridden a CX either. Saw a CX set up as a Cafe Racer and fell in love with the bike\'s looks & potential. \r\nInstalling a mixture of parts on the bike. Harley mufflers & shocks purchased used (cheap) at Gastonia HD. Went in on a group buy of ignition systems with some other CX owners from the Czech Republic. Honda no longer makes ignition systems for this bike, the new one is pre programmed, but you can also program it on your computer. Will install progressive fork springs or custom springs from Race Tech. Installed Hotwings Glass seat, seat pan, front fender, and rear brake light. \r\nHope to test ride the bike this month, then tear down for yellow/black paint. The side panels will be painted with checkerboards! \r\nHaving loads of fun working on this bike! \r\nI had two CX500\'s back in the day. \r\nWe went all over Europe together. \r\nGreat, reliable, cheap, touring bike. Put 100,000 km on the first one and it never missed a beat. 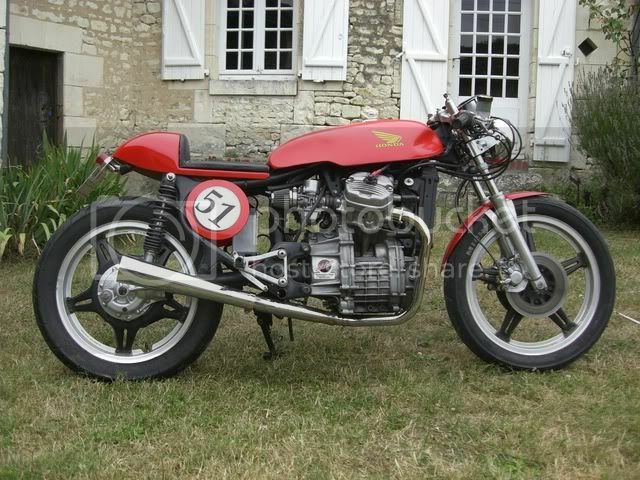 \r\nJust curious, but did you see the CX500 Cafe build out on that new "Cafe Racers" show? Wondered if that might have been a bit of inspiration. If I\'m honest, I\'ve always thought the CX500\'s were some of the homeliest bikes Honda ever put out, so I kinda chuckled when I saw that the guy on that show was going to build a cafe out of one. And I\'ll be damned, it came out looking super cool! I was quite impressed. Likewise, I really like where yours is heading. \r\nKeep posting pics of your progress! \r\nconsiderations....not bad.....anybody got an extra CB500T they don\'t want? \r\nThey call it a "dispatch" bike in the UK. It\'s got a drive shaft, so will be my first bike with a drive shaft. One of the problems with the old ignition system is when the charging system died, the ignition system died. With the new ignition system I installed, if the charging system dies, the new system will continue to run off of the battery. Will install a volt meter, so I will know if the charging dies, will switch off the head lamp and head home! Ride 99% of the time during the day as a day rider anyway! \r\nMany of the CB bikes are converted to Cafe Racers. I personally like the CBX1000. I rode a 78 cx500 for my first bike. \r\nother then scary weak brakes they are great little bikes. I wish I still had mine. \r\nInstalling a new master cylinder for the front. This master cylinder is OK for dual piston calipers. Will see how it works on my original rebuilt single piston caliper. Planning to leave the drum brakes on the back and hope to reduce weight to around 400lbs. \r\nwire rear turn signals and brake light next! Just finished installing the new electronic ignition system black box. \r\noh yeah the ignition modules. \r\nCary a spare. I went through a couple of those. \r\nAs a matter of fact I think I still have one left. oh yeah the ignition modules. \r\ncharging stops working, will switch off the head lamp and head home! \r\nI am a day rider 99% of the time. \r\nseat pan, and cables from Auto Zone connected to the starter relay. \r\nGetting closer to my first CX500 ride. \r\nvideo. Will test run with mufflers next week. Made flat plastic side covers & installed K & N pod air filters. \r\nPainted headers with flat black 2000F paint. \r\ninstalling 2 into 1 exhaust weighing about 15lbs total. \r\nThe engine & transmission seem to be OK.
\r\nWill test the bike at least 500 miles miles before painting. \r\ncheckerboards on the side panels to see how it looks. \r\nWill repaint the engine silver/grey with high temp paint. \r\nevery once in a while I get the urge to build a Cafe. \r\nWith all the modifications I am making, glad I didn\'t paint it first. \r\ncover would work well as a number plate, too! Rejetting the Keihin carburetor from 78/115 to 90/120 jets. Purchased the jets from JetsRUs. Most of the CX500 Cafe builders have good results when installing pod air filters with 2 into 1 exhaust by increasing jet size to 90/120. \r\nOrdered 2 into 1 exhaust system last night. \r\nGoing in on a group buy with other CX500 owners for the mechanical waterpump seals @ $17 each, since the 30+ year old seal is dripping out of the weep hole. \r\nAlso included a photo of the final location of the Ignitech CDI from the Czech Republic purchased on a group buy, using same location where the original Honda CDI was located. \r\nHave a small LED voltage indicator light coming from the UK to mount in the back of the headlamp housing to monitor the condition of the charging system, cost about $16 delivered to the USA. Looking good! I like that engine. \r\nFor a voltage monitor/guage look at the Heads-Up. The box is the size of a box of matches and you only have one little LED to mount. \r\nThat\'s a nice looking voltage indicator. In the process of rebuilding parts and prepping for paint. \r\nfor paint & water pump seal replacement during next week. \r\nas front fender, seat pan, and fuel tank. With the weather getting cold, time to get back on last year\'s winter project. \r\nRemoved front & rear engine covers to replace seals, clean, & inspect parts. Hope to have the engine back together soon and will start painting. Where did you get the seat unit? Is it a special CX 500 part or one modified to fit? The seat pan, seat cushion, and front fender came from Hotwing Glass. \r\nI am in the process of putting together my own Street tracker. More info to follow but he is a pic up front. \nI am in the process of putting together my own Street tracker. More info to follow but he is a pic up front. \nLooking forward to seeing your project, too. Will you be posting it in the Vintage section? Is that a CB750? \nWith the warm weather this week, have to admit to using my spare time riding and not working on the CX. \nPut the front & rear engine covers back on. Removed & replaced the cam seal on the tach drive. Next jobs are replacing all coolant hardpipe O-rings, thermostat and installalling a Ducati electric fan, replacing the direct drive original Honda fan. Its a 1982 Night Hawk 650. \r\nAs I said more to follow next year when I return from my travels. \r\nHave not chosen the final colors, yet. I like sliver & black, too. \r\nWill be working on the CX for the next couple days with the cold weather! Settled on the colors. 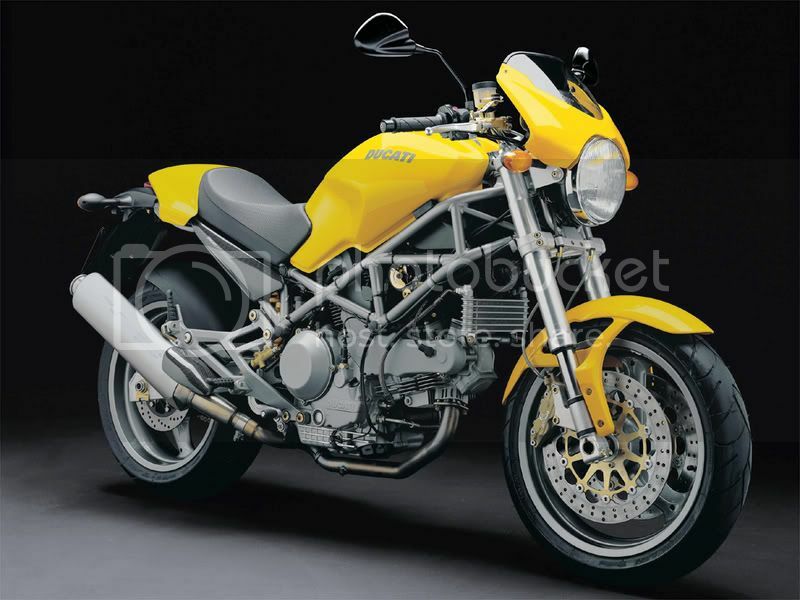 The seat pan, tank, side panels, front fender, and radiator bracket will be Ducati Yellow. Will paint the engine with satin aluminum color 500F paint. The frame, side stand, triple tree & swing arm with be powdercoated satin aluminum color. Will be using a local Denver powdercoat shop and a paint shop in Carthage that paints mostly race bikes. \n2 into 1 exhaust will be chrome, polished front & rear aluminum wheels, and forks will be stripped down to aluminum finish. Hey that\'s my old monster. \r\nWas a great color. And bike. Always liked the Ducati Monster and colors. \r\nYou had a really nice looking bike. Did not work on this project for a couple years. \nDecided to change colors to Pearl White with painted pinstripes. Had the frame & many parts powder coated semi gloss black with the exhaust system ceramic coated flat black. \nFinished putting it together yesterday! \r\nMine started out as a Cafe Racer Build but, most Cafe Builders use clip-on or clubman bars. I installed european bars that will give a little more upright sitting position. Will get to keep stock length cables, wiring, & brake hose with the European bars. Installed a new disc brake master cylinder and keeping the drum brakes on the back. \r\nMy intention is to ride twistys with it, so will have to sort out the suspension, during testing. \r\nHave seen several post about the Cafe Racers show on the CX500/650 forum but have not seen it since I don\'t have cable TV. I am sure it\'s a good show. \r\nMy inspiration was a black CX500 Cafe Racer I saw for sale on Craigslist in Mooresville. I called too late, it was already sold.